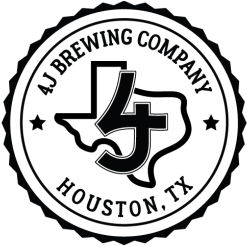 Nestled in the heart of Spring Branch, 4J is located in a strip of warehouses north of I10, near the intersection of Westview and Blalock. We love adding pieces of our family and our Ranch into the brewery. The chalkboard frames, tap handle backing, and many other items in the taproom/brewery have been repurposed from the old barns at 4J Ranch. The bar is made from a cedar tree we cut down and then branded with our 4J logo. haeTAPROOM HOURS: We are open Friday 3-10 pm and Saturday 12-10 pm. Please check the calendar of events for up to date information. FOOD: We have food vendors on site every Friday and Saturday. Check our Facebook page for more information. No outside food if a food truck is on site. PARKING: *SEE MAP ABOVE* Parking is available on the Blalock side of the complex, limited spots in front of the 4J office (under the green awnings) and street parking on Cedar Post. We do encourage responsible drinking so please lyft/taxi, bike or walk if you plan on drinking. For new lyft users, use code "4JBREWCO" for $5 off 3 rides. TOURS: We do not have set tours but you can ask Jennifer or Larry any question you like and they can show you around. BEER TO GO: We fill growlers if you bring your own and also have empty growlers for sale to be filled. OUTSIDE FOOD/DRINKS/ITEMS: Feel free to bring your own lawn chairs, games, snacks, and non-alcoholic beverages. Outside alcoholic beverages are not allowed. Water is available in the taproom and free. No outside food if a food truck is on site. DONATIONS: We are very small with budget constraints so beer and merchandise donations are limited. NO AC/HEAT. Our brewery is mostly outside. Please plan accordingly. Fill out the contact form for any other questions. Thanks!